If you have any questions about the Expedition Yard Number 1016 information page below please contact us. Expedition Yacht ‘Yard Number 1016’ (formerly Big Star, project Star Fish), which is built based on the same Greg Marshall-designed hull plans as her sister ship Big Fish, was launched at McMullen & Wind in early 2016. 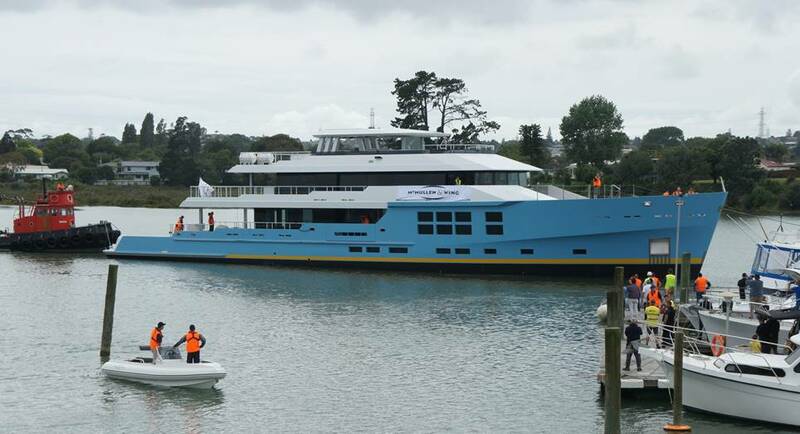 Unfortunately, the vessel suffered damage caused by fire, however a new contract was signed and she is being completed at the New Zealand shipyard. Y/N 1016 is built with strong focus on live-aboard amenity, outdoor living and extended cruising range. One of the main features is her spacious cockpit for waterside lounging and different water activities. Other important features include natural gardens on the bridge deck and spacious hot tubs on a sun deck as well as foredeck. Yard Number 1016 by McMullen & Wing is based on the extremely successful world-cruising luxury yacht BIG FISH. Styling, naval architecture and engineering are represented by a collaboration between the Owner’s project team, Gregory C Marshall Naval Architects and McMullen & Wing’s extensive in-house design team. Interior of the Yard Number 1016 is contemporary in style, designed by Gregory C Marshall and accommodates up to 12 guests in 5 spacious cabins, boasting natural materials and a relaxed, modern atmosphere. The yacht’s light, airy interior spaces flow seamlessly onto the extensive decks on all levels. Fantastic panoramic views are allowed thanks to the bulwark balconies and the floor-to-ceiling glazed doors from the dining area. The magnificent owner’s suite is located on the bridge deck aft, and opens onto its owns private aft garden deck. A symphony of light and space, the owner’s suite is a haven of calm and relaxation. Accommodation on board McMullen & Wing's Yard Number 1016 is offered to 12 guests in 5 luxurious staterooms with a relaxed and modern atmosphere. We do have available further amenity, owner and price information for the 49.95m (163'88'') yacht Expedition Yard Number 1016, so please enquire for more information. 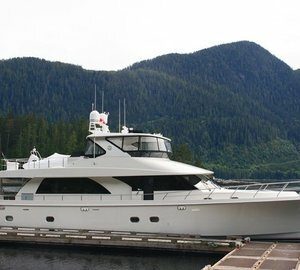 The luxury yacht Expedition Yard Number 1016 displayed on this page is merely informational and she is not necessarily available for yacht charter or for sale, nor is she represented or marketed in anyway by CharterWorld. This web page and the superyacht information contained herein is not contractual. All yacht specifications and informations are displayed in good faith but CharterWorld does not warrant or assume any legal liability or responsibility for the current accuracy, completeness, validity, or usefulness of any superyacht information and/or images displayed. All boat information is subject to change without prior notice and may not be current.